Back when I worked for Pets at Home I used to always get my nails done. It was my little treat once a month after pay day and it made me feel a little more girly in the awful zookeeper-esk uniform. I will be the first one to say acrylics ruined my nails and to be honest they probably will never be as strong as they were before. I'm always having a look at the Impress nails in Boots but they're a little pricey for my liking. So when I spotted these nails in Primark recently and thought I would give them a try. I've worn 'glue-on' nails really as I always thought they wouldn't last very long or flick off during the day, so I thought now was a perfect opportunity to try them. I'm back on placement from Monday and as we can't wear nails in hospital for obvious reasons, I thought I would play around with them and see how long I could get them to last. You get 24 nails in a pack and a tube of glue. The nails are pretty good sizes, I have quite long and thin nails and I managed to find the perfect sizes for me. 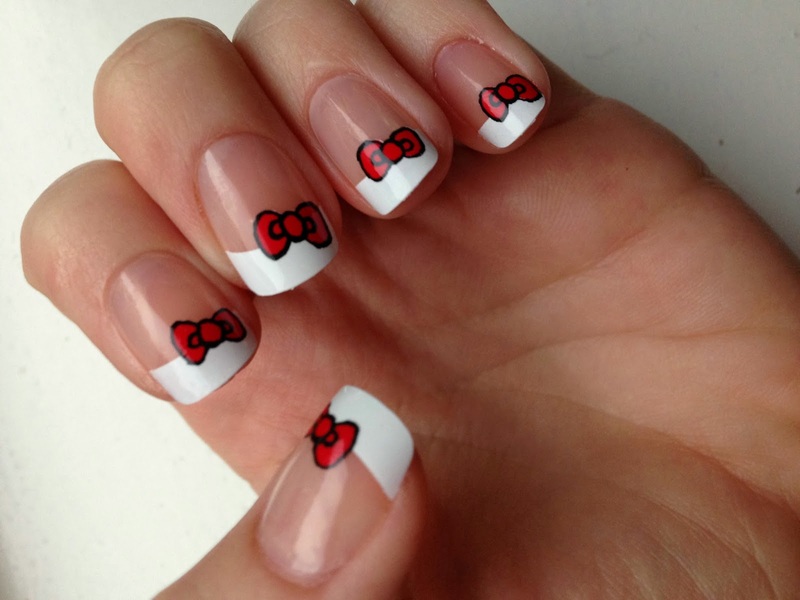 They also come in a lot of different designs, but I thought these bows were really cute and kinda remind me of Hello Kitty. The nails stayed on really well, I am so impressed for the tiny price tag. In fact I actually took them off rather than them falling off, after nearly 3 days because I didn't want to leave them on for too long. 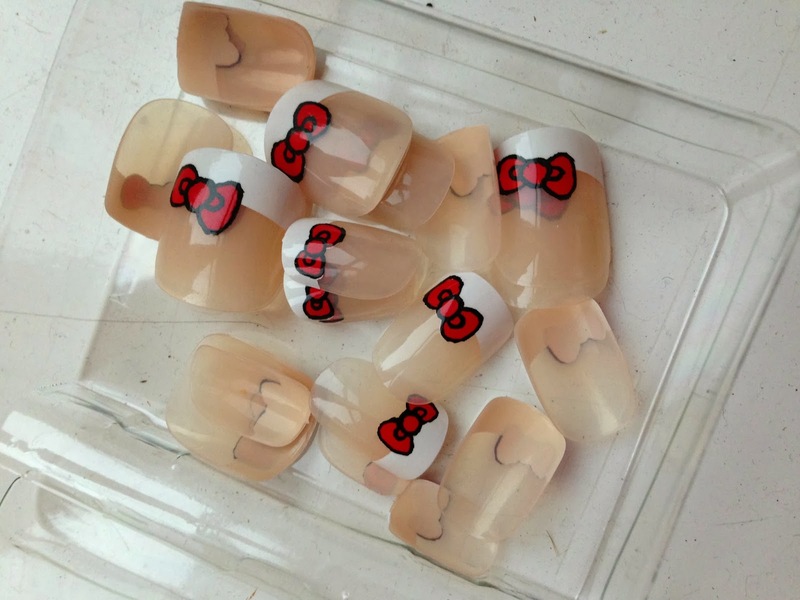 They were really easy to get off too, I was naughty and just yanked them off but they came off neatly and haven't left much glue on my nails. I think they are a real bargain and would be fab if you wanted a cute nail design for a weekend away or for a special occasion. I will certainly be picking up more of these, I am so pleased with the quality and staying power of these beauties! 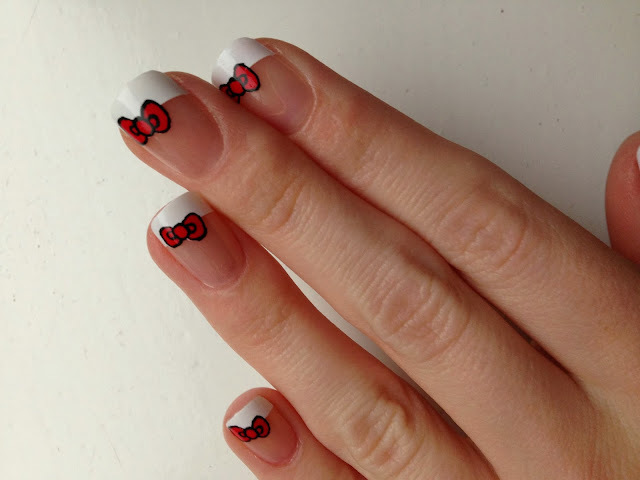 Have you tried this nails? I uploaded a Primark Haul to my YouTube channel here. My sister goes mad for primark stick on's! Maybe I should bite the bullet and give them a go! I would never think to go to Primark for nails, but definitely going to have a look now! Wow these look really good for a bargain - £1.